Ryan Bird rescued a point for Whites as they drew 1-1 with Barrow at Crabble on Saturday. The big striker headed home his second home goal in as many games to level the scores on 72 minutes after Jordan White had nodded the Cumbrian side ahead 20 minutes earlier. Dover skipper Mitch Brundle fired in the first shot on target of the game, but his free-kick went straight at visiting keeper Stuart Moore. Barrow also had some chances early on as Harry Panayiotou dragged an effort wide when well placed and Dave Nieskens volleyed an attempt from the edge of the box out for a throw in. Femi Ilesanmi’s ball into the penalty area narrowly evaded the onrushing Bird and Panayiotou’s cross at the other end appeared to strike the bar. 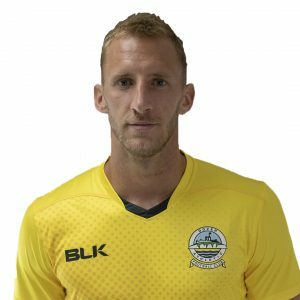 Home defender Giancarlo Gallifuoco was taken off with an ankle injury on the half hour mark, with George Essuman, making his first competitive appearance for Dover, his replacement. Panayiotou could only stab Dan Jones’ lob into the box straight at Mitch Walker from yards out as the away side grew into the match. Thierry Audel almost opened the scoring before the break in stunning fashion. The Frenchman slalomed through the Athletic defence having picked the ball up on the halfway line, but was unable to beat Walker at his near post. Ilesanmi positioned himself to shoot from Jamie Allen’s lofted ball into the box five minutes after the restart, but the Nigerian’s miscontrol saw the ball to roll out for a goal kick. A minute later the away side took the lead as White powered in Jones’ accurate left wing cross. It was almost an instant reply with Bird poised to fire home Ilesanmi’s assist. But the striker was denied by Moussa Diarra’s last-ditch challenge. 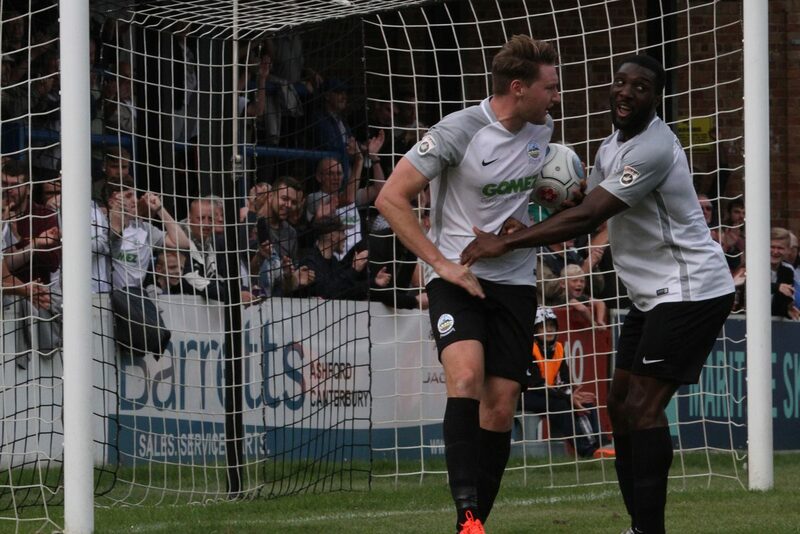 However, Dover’s striker was not to be kept out for long. Bird flicked home substitute Kadell Daniel’s cross to level matters with 20 minutes to go. But it was Barrow who could have won the match late on. Sub Sam Cockerline opted to shoot at Walker instead of passing across the box to an awaiting Alex-Ray Harvey. 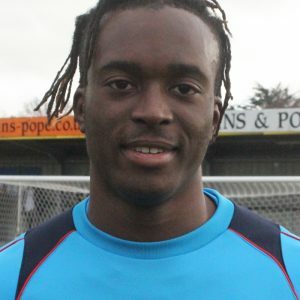 And Bedsente Gomis ballooned an injury time effort over the bar after Cockerline found the midfielder in space with only Dover’s stopper to beat. The draw sees Whites drop two places to fifth in the table, two points behind leaders Sutton United. Earlier, boss Chris Kinnear made one change to the side that started Tuesday night’s 2-1 win at FC Halifax Town. Loui Fazakerley replaced the ill Josh Passley. Next up for Dover is a trip to Macclesfield Town on Friday 25th August. Kick off 7:45 pm. Dover: Walker, Gallifuoco (Essuman 29), Essam, Parry, Fazakerley, Brundle(c), Nortey, Ilesanmi, Richards (Sho-Silva 62), Bird, Allen (Daniel 62). Subs not used: Pinnock, Adebowale.